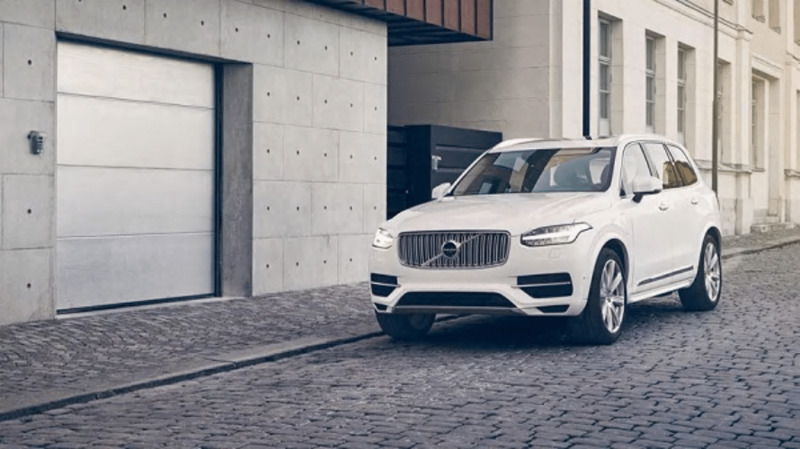 When the second-generation of the Volvo XC90 arrived last year it signaled more than just the launch of a new version of the Swedish automaker's popular midsize luxury crossover SUV. In fact, it was a big statement of intent of how Volvo is looking to redefine where the company sits in the growing global market for luxury vehicles. Volvo has always had a committed and loyal following, but the 2017 Volvo XC90 is a model with appeal to a much wider audience than perhaps any Volvo before it. And if you're expecting those renowned levels of Volvo safety in the Philadelphia area, you'll certainly find it with the XC90 if you go to check it out at Wynn Volvo in Norristown, close to Eagleville. Volvo has always had its own unique style which really made its vehicle stand out, although a couple of decades ago they were perhaps guilty of being a little polarizing at times. There's no doubt the 2017 Volvo XC90 that was all-new last year looks different, but it's different in a good way from every angle you view it from. This new look is more fluid and crisper than its predecessor, and the design also does a clever job of disguising its size as it doesn't look as big as your average seven-seat SUV. The somewhat square, flattened front and squinting headlamps give the Volvo a distinctive look, which is a look likely to start appearing elsewhere in the market before too long. If you're tired of the functional, plain and somewhat austere interiors German manufacturers and their Asian imitators favor, the cabin of the XC90 is a welcome antidote. It cossets and comforts drivers and passengers alike, and rather than impressing with just functionality and build quality, the interior of the XC90 imparts a pleasing sense of calm. Volvo claims it spent seven years developing the front seats alone, and the levels of comfort and adjustment they offer leave you in no doubt it's true. There's loads of leg and headroom in the second-row, and even the third-row seats are more suitable for adults than the ones found in most of the XC90's similarly sized competitors. There are now three powertrain options for the 2017 Volvo XC90, which are all 2.0-liter, four-cylinder units mated to an eight-speed automatic transmission, and with all-wheel drive standard on all but the new base T5 model. The base engine in the T5 produces a turbocharged 250 horsepower and 258 lb.-ft. of torque. The most popular engine is expected to be the T6, which also incorporates supercharging to develop 316 horsepower and 295 lb.-ft. The last of the three powerplants is the T8 "Twin Engine," which is a plug-in hybrid utilizing a 34-kw (46 horsepower) starter-generator motor between the transmission and the gas engine found in the T6. This system puts somewhere in the region of 400 horsepower and 472 lb.-ft. of torque at your disposal, making it noticeably faster than the non-hybrid T6. The T8 also sees the conventional mechanical all-wheel-drive system replaced by a 60-kilowatt (82 horsepower) electric motor on the rear axle, so the T8 can run on just the gas engine, just the rear motor, or both, depending on the circumstances. Volvo has long been a byword for safety and the 2017 XC90 more than lives up to that billing. It won’t come as any surprise then that the IIHS has given it Top Safety Pick status, while the NHTSA has awarded the Volvo a full five-star rating for overall safety. People often assume crossovers and SUVs are safer than smaller cars, but this is one that definitely is.